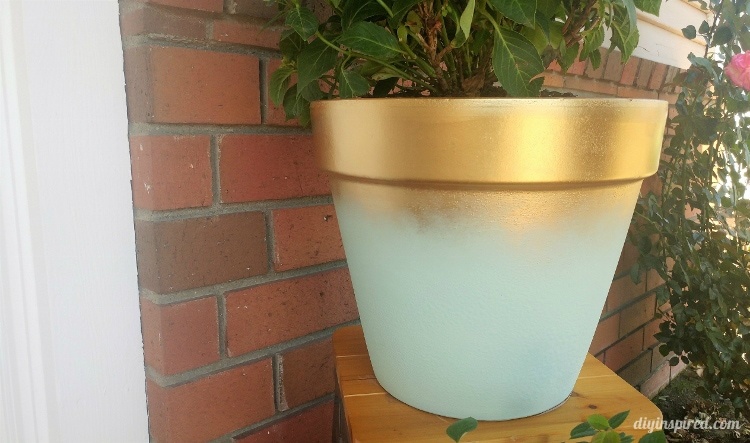 This article, DIY Painted Terra Cotta Pot to Add Curb Appeal, is sponsored by Monrovia. All opinions are 100% my own. You may already know that I love to beautify my space with Monrovia plants. Monrovia grows the healthiest, highest-quality plants for you to create outdoor spaces that will thrive for years to come. This time, I stopped at Lowes and came home with a gorgeous Pink Elf French Hydrangea and a terra cotta pot. 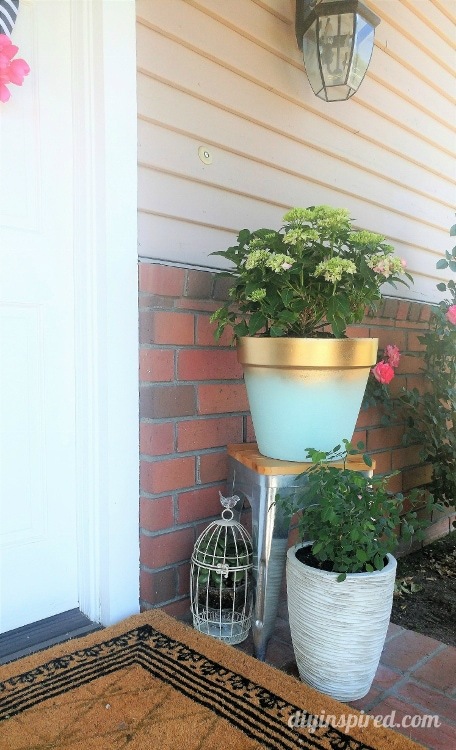 I thought that I would paint the pot to showcase my new perennial and place it at my front door. Set the pot upside down on the cardboard box. 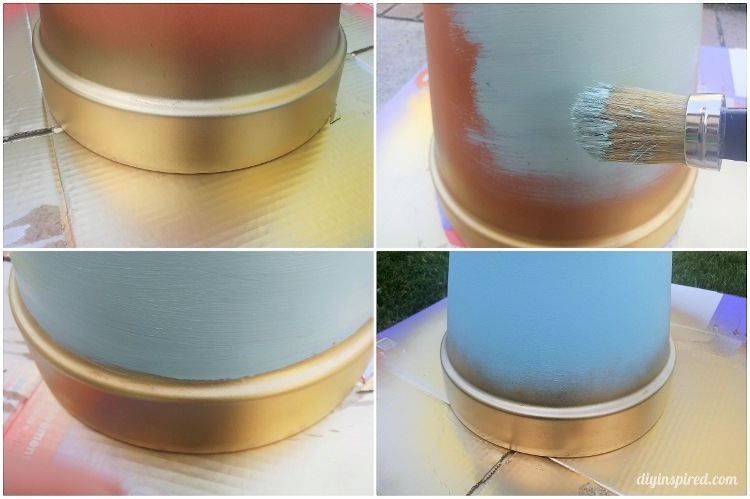 Spray paint the top lip of the pot. I used three very light coats. Once it was dry, I painted the rest of the pot with chalk paint. I used Folkart home décor chalk in Seaside Villa. There is no need to paint perfect lines since you will spray paint over it. When the chalk paint dries, spray paint the lip again in a quick and even motion, covering the hard paint line. Allow the pot to dry completely. Hydrangeas are perfect for the Southern California weather I live in. They need partial light, are fast growing, and easy to care for. This particular hydrangea is a dwarf habit. It is small, but bold and can be planted in a pot. Monrovia plants are nurtured with attention to every detail to ensure vibrancy and lasting beauty. These are long lasting and you can cut the flowers to display or gift. Fill the pot more than halfway with potting soil. 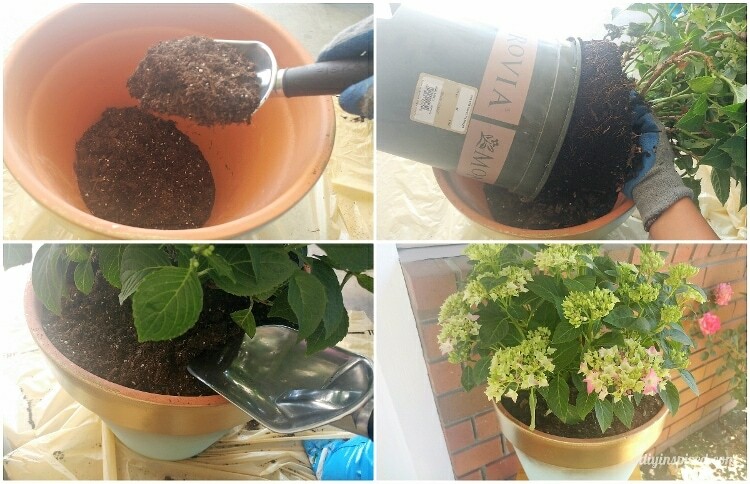 Gently turn the Monrovia container upside down with your gloved hand cupping the base of the plant. It will slide right out. Transfer it onto the soil. Cover the remaining space with more soil. Water the plant. 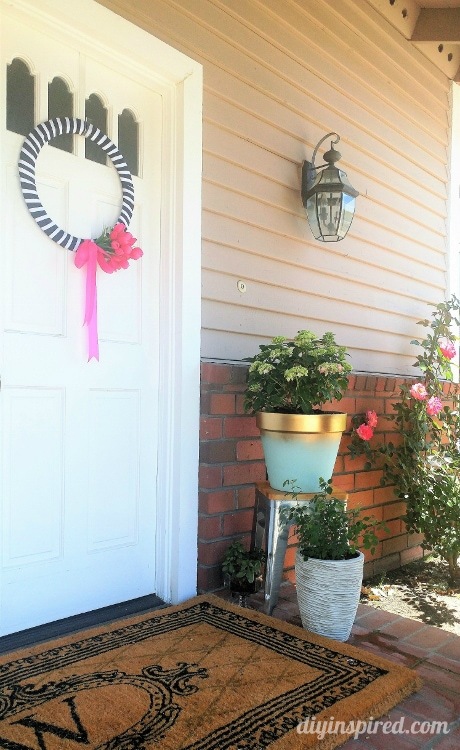 I placed my newly planted Pink Elf French Hydrangea by my front door. This is a simple way to transform your space with colorful annuals and perennials. Monrovia gives a wealth of important plant information on their plant tags and on their website. You can find everything you need to know about which plants work best in your climate. I personally like reading the Monrovia blog to get new gardening inspiration. I hope you try this easy DIY out! Stop at Lowes to get your own and add a pop of color to your outdoor space! Thank you so much, Dean!